Three InTouch is still being used for Android devices but Three WiFi Calling on iPhone does allow to send texts over it. Latest top model Android devices use WiFi calling rather than the app. I think it's fair enough that people report on technical balls ups, even if they are happening frequently. This is a presentation forum after all. I think it's the constant drone of the same member saying the same thing over and over again, as if he hadn't mentioned it before, that's getting people's back up. Has ITV done the swap in the regions where the HD version matches the SD channel? Don't think so. Not here in the south west anyway. Kay Burley has replaced Sarah-Jane Mee in Manchester. Could the breaks possibly be to give Anna a breather who's been on presumably since 9pm? Anna Botting starting her 3rd extra hour. They had the live tag in the corner when I saw it on there, but the Sky News clock showed earlier. Just fox capturing earlier video. They've mostly taken live coverage with no delay. 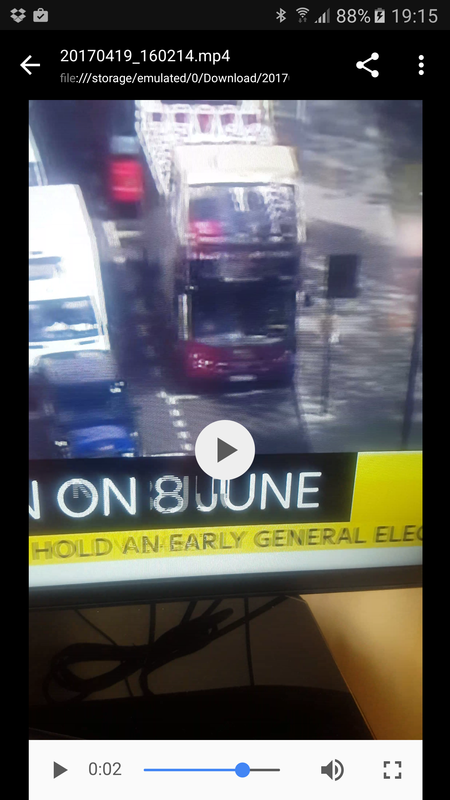 Fox's Sky news footage has a 21 min lag on it. They were taking it live with no delay a couple of minutes ago. 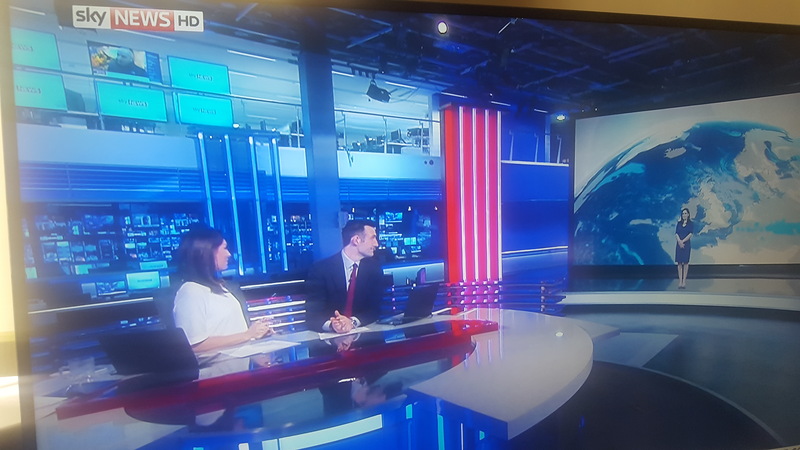 I only watch Sky occasionally to figure out what the hell is going on with Brexit and what the hell your PM is doing, so I'm not being flippant when I ask...is that the break room behind them? Will you give over making the same comments over and over about how the channel has gone down hill. We all get it, Sky News has changed, but no need to ram your opinions on a 'channel on the decline' every time something is announced. Lets just comment on the current presentation rather than keep on harking back to the 'old days'. Did anyone else feel Graham's heart wasn't in it last night? I just think he knew the host presenters were terrible, and was just expressing what everyone else was thinking. Having the first two items there means there is barely any room for information, should just be a FRENCH ELECTION graphic to leave more room for text. You don't like much on the channel do you? Perhaps you should turn over. Not noticed it myself, could be just picture break-up that sometimes happens on Sky Q boxes as opposed to a graphic issue itself. No, definitely only on the graphics on Sky News. Anyone else seeing a random flicker on the graphics now and again, where a small section of it will distort? Here's a crude video I took of the effect. Anyone else see a small but eye-catching occasional graphic break up? I've recorded a crude video clip to illustrate what I'm seeing. Can't get the video to play, but yes. Got Sky Q with three boxes on three TV's and they all have occasional glitches on the ticker, especially (all on the HD version). Only had it for the last week or two. Yea sorry not sure how to embed it properly. Hmm... This Mark Longhurst chappie has a bit of a "posh" voice. Not to my liking. Okay, so he's not exactly Brian Sewell voice-wise. But it feels at odds with the "friendly" tone of ITV regional news, and certainly doesn't suit introducing human interest fluff etc. I should have pointed out the 'screen grabs' were just pics taken of my TV on my smart phone, so it would be difficult to demonstrate the quality of the pictures broadcast. The fixed camera picture quality was superb, and you can tell the onboard shots and even the helicopter shots were upscaled. I read somewhere this will be addressed next year. New F1 season. 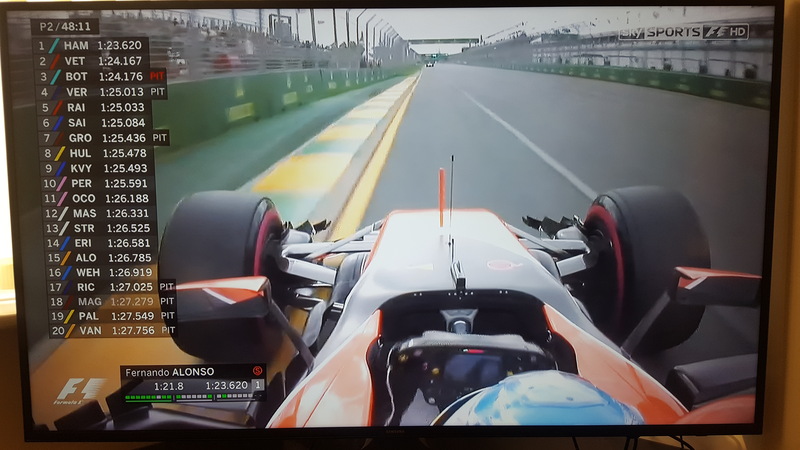 Points to note..
Minor refresh for the FOM world feed graphics. 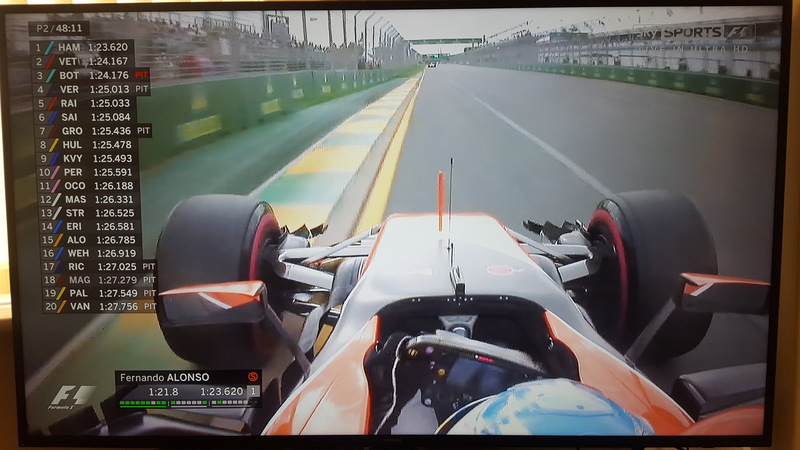 Slightly more silver and beveled effect in the F1 logo replay wipe.. I was watching in UHD on Sky Q and didn't realise until I saw posts elsewhere, that the graphics on the UHD feed were slightly smaller than the HD/SD feed. So very likely that Press Preview will come from the Glass Box Mon-Fri then? Yes. As pointed out earlier in the thread, it's not a case of walking to the other studio and sitting down when the ad break comes on. It's a fair walk and it takes time to set things up. So the whole 3 hours will be broadcast from the 'glass box'. Oh really, you would have thought someone would have mentioned it back on page 61 and the next few pages after that? Does this mean we have to wait until Christmas to see the new studio or is it because we mainly see the shoebox on Christmas Day these days? I think you need to look up the word 'by'. I'm baffled how people would stop watching something on the basis of a studio. Each to their own I guess, but I would have thought that content is king and (personalities and egos aside) you can't actually fault the journalistic quality of the channel at all. My thoughts exactly. Plus the glass box isn't going to be the main studio anyway soon If I've understood correctly?